Joel Katz may not have mastered the secret of time travel, but for the past four decades he has been doing his best to keep the spirit of the 50s alive. As a teenager, he played New Jersey's Palisades Park and appeared on legendary disc jockey Murray the K's rock 'n' roll shows. He's since had a recording career that includes performances with some of the most celebrated names in doo-wop. But mention the name of Joel Katz to the average person and the only reaction you are likely to get is a blank stare. "I've sung with so many groups, that I've became a voice without a face", says Joel. Even the liner notes on one CD states, "one of the underrated singers of all time". But while Katz may have remained largely anonymous to the public, he is well known in the industry. Richard Nader, the oldies concert promoter, said, "He's so damned good. When I first heard Joel on a recording, I was so impressed that I kept it my car for weeks, that's how much I liked his voice". With a strong, smooth tenor voice, Joel fronted the Autumns, the Wizards, the Platinums, the Connotations, Twilight and Ronnie I? Cliftonaires. He sang lead with the Del-Satins, and appeared with an all-star oldies lineup at Radio City Music Hall in 2001. Much of his time these days is spent putting together "super groups" of his favorite oldies singers to provide back-up to his own recordings under the name Joel and the Dymensions. Among the background voices on these recent recordings are Johnny Maestro of the Crests and the Brooklyn Bridge and WCBS-FM disc jockey, Bobby Jay, a veteran bass singer. Just last Christmas, he collaborated with Maestro, Jay, and Larry Chance of the Earls, to record under the name, 'Santa's Doo-Wop Helpers'. With Maestro, Jay and Chance on background, Joel served as lead tenor. Their classic is "All I Want For Christmas Is You". Joel is also part of an all-star lineup in the Ronnie I? Cliftonaires. They are a lineup of various lead singers from renowned groups of hit record fame. This super group perform limited engagements in between their busy schedule with their other groups. Joel Katz started out singing in high school and formed his first group, Joel and the Conchords, when he was 13 years old and a student at Saddle Brook High School in New Jersey. They made their first appearance at a student talent show in which take took first prize. They were on Jocko's Channel 13 TV program. Other groups he was a part of were the Belvederes and the Butanes while in high school. It was then, soon after, Joel was hired to join the Autumns. Over the years, he has always been in high demand, but major fame has proved elusive. He even provided the singing voice for the dancing bear on TV's Captain Kangaroo. Joel opened his recording studio in Fair Lawn, NJ in 1977. Joel was employed by Ampex as an east coast field engineer from 1977 to 1981 until the recording division folded. He gained experience for his own studio by working at Plaza Sound, Radio City Music Hall, as a recording engineer in 1975. The Wizards, with Joel on lead, came about in 1981 as a studio project. The Wizards single, 'Fifties Come Alive' had the distinction of being 'Pick Hit of the Week' in Billboard Magazine on December 19, 1981. It was in 1985, after the Wizards breakup, that a local group called Twilight was started and they released various 45s, one LP and two CDs. Joel was first tenor lead in the Joe Favale and the Emotions of 'Echo' fame. He also fills in at first tenor with Five Discs. Both groups travel the east coast with concerts to rave reviews. Joel Katz became an international star in 2001. He was invited to perform in front of over 2000 die hard Doo Wop fans in Hamburg, Germany. To Joel's credit in his busy and illustrious recording career, is his other studio project, Joel and the Dymensions. Their first LP and CD came to fruition in 1991. Some of the backup vocalists are Bobby Jay (the Laddins and Teenagers) and Johnny Maestro (the Crests and Brooklyn Bridge). These recordings are the brainchild of Rich Hourihan who serves as executive producer. 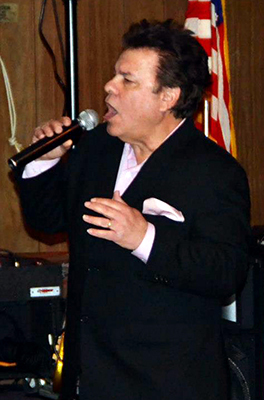 Johnny Maestro produced the second CD, "New Dymensions". Maestro also engineered many of Joel's projects including the Twilight CD of 1985. In 2007, Joel recorded a new 2 volume Joel and the Dymensions CD(s) called "Harmony Treasures" featuring Bobby Jay and Eugene Pitt on background vocals. Some rare, hard to find, classics were chosen by Rich Hourihan and Joel. Recently, Joel started up a new group of superstars to form Joel Katz and the Dynamics. They have wowed every audience. And Joel has filled in for the late Johnny Maestro's Brooklyn Bridge. On November 28, 2012, Joel sang background vocals with Eugene Pitt and Dickie Harmon on Aaron Neville's on a PBS Special which was broadcast in March 2013. He went to the studio on March 20, 2012 to help cut a Doo Wop album by Aaron along with good friends Eugene Pitt and Bobby Jay. Although Joel sings many kinds of music, his heart is still in group harmony. Now that you have knowledge of Joel Katz's musical background history, you can understand that he has a continuing passion for vocal group music.